GLOBAL - To protect your pigs and the farm from African Swine Fever (ASF), it is vital to keep out new pathogens. In part 2 of this series, veterinarians John Carr and Mark Howells, discuss the number three source of pathogens onto your farm - trucks. The number three source of new pathogens is a dirty truck. Number one is the perimeter fence (Part 2 of this series), number two would be the location of the farm and the pathogens in your district. Number three is the vehicles which come to your farm. Back to your farm! 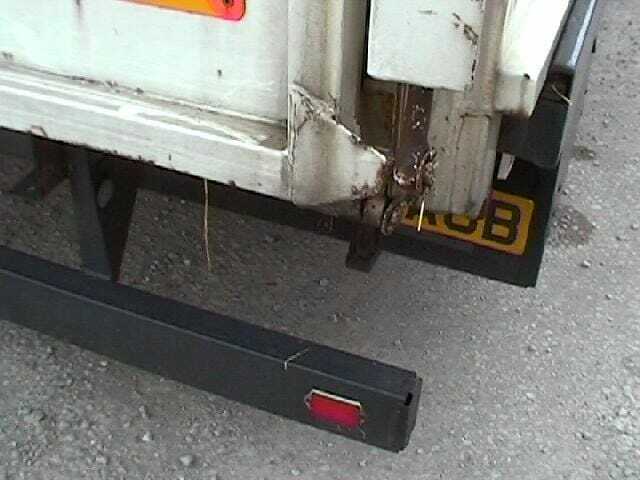 What measures have you got in place to ensure vehicles are not a threat to your farm? 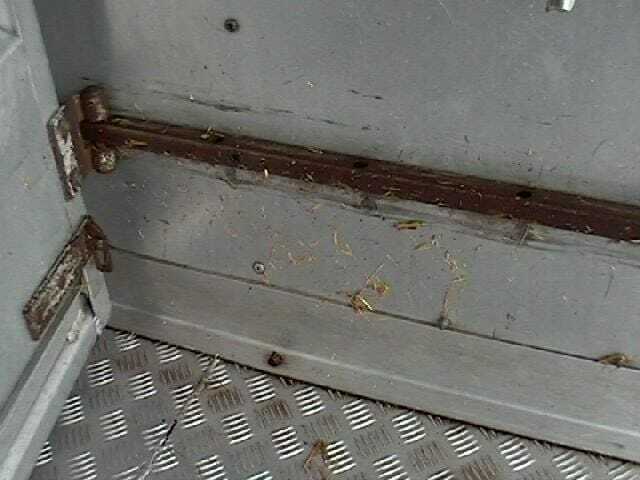 Do you inspect visiting trucks – in particular animal trucks? Are your own trucks clean? 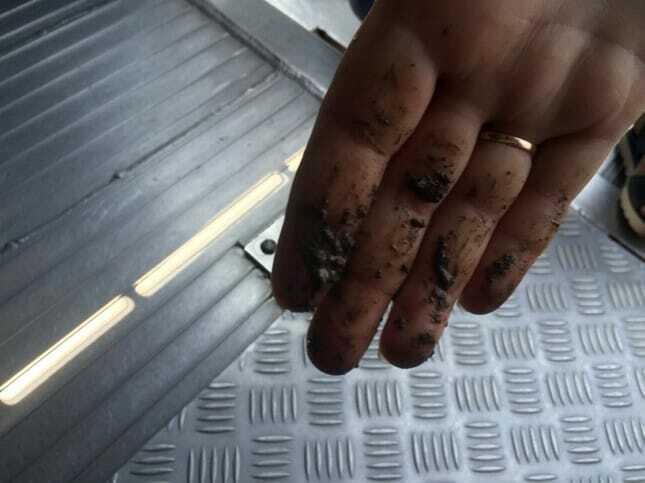 There are many systems to examine truck bacteria with swabs and test kits, but most trucks are just visibly dirty, it does not require a laboratory test to report a few bacteria to say the truck is dirty! Who inspects the truck prior to entering the farm? Do you have a simple reporting form to help ensure that the inspection is complete? 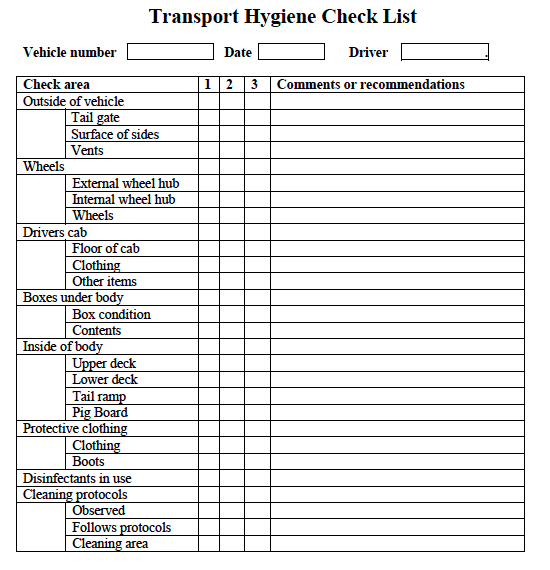 Table 1 illustrates a simple reporting form which ensures that the truck is thoroughly clean. Print it out or make your own. But get it signed – make staff responsible. 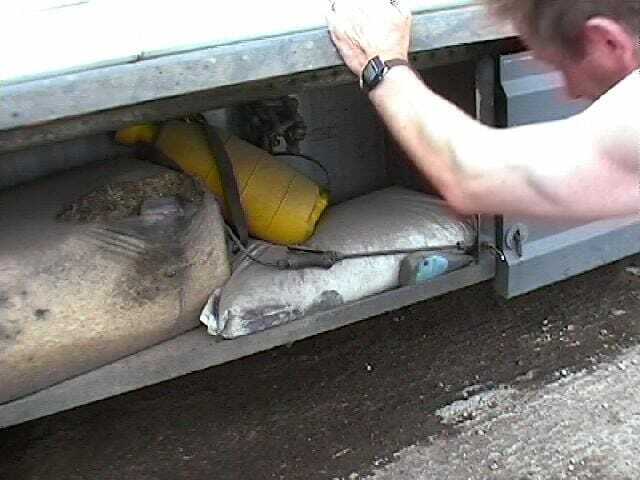 When examining a truck it would seem obvious that you should check the animal accommodation area. But it is likely that some cleaning has happened, look at other areas first. In the check list, walk the outside of the truck. Walk to the tail gate and look at the level of cleaning. It is disappointingly common to find clear evidence of poor cleaning with faeces and bedding still attached to the gate and back of the truck. Especially on the top of the tail lights. Walk around the truck looking for organic material. 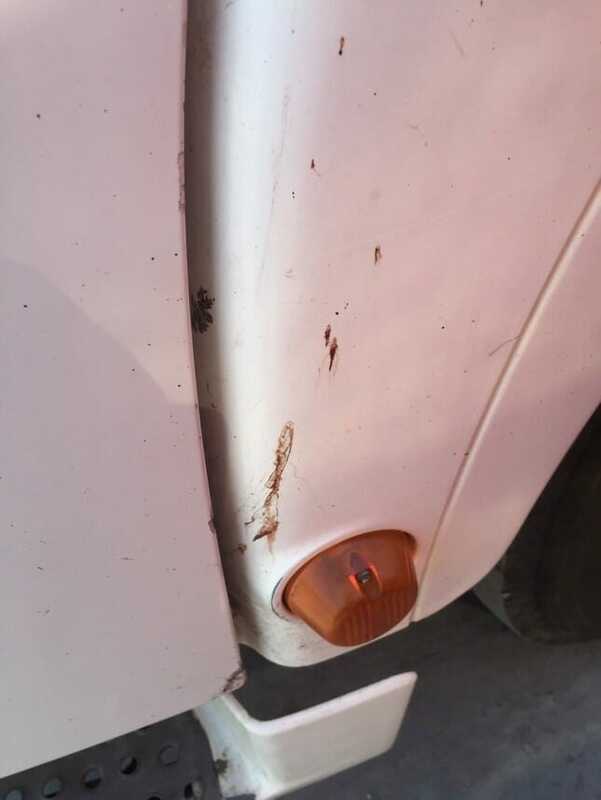 In photograph 2 there is even blood on the door of the cab. It was claimed that this was the truck driver’s blood! But this was present after cleaning. This is not adequate it is not relevant whose blood it is. 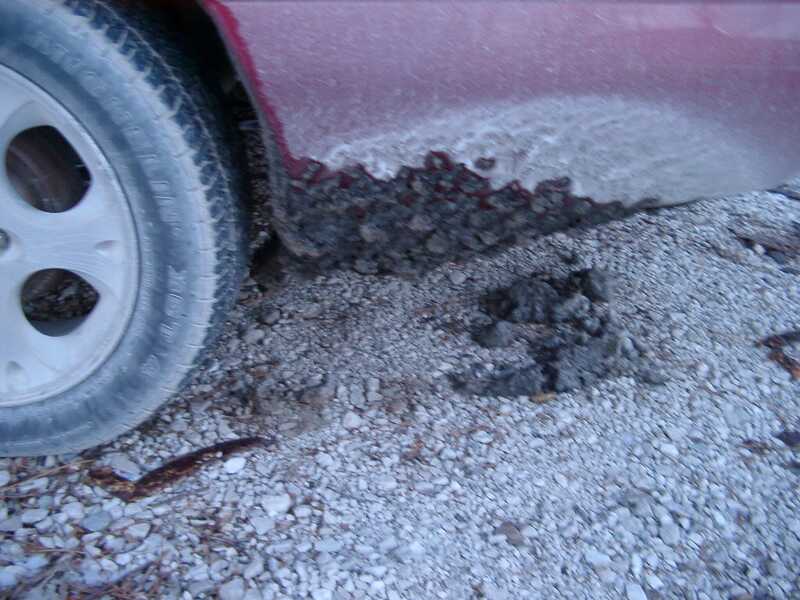 In properly cleaned trucks the wheel housing should be clean and free from mud. 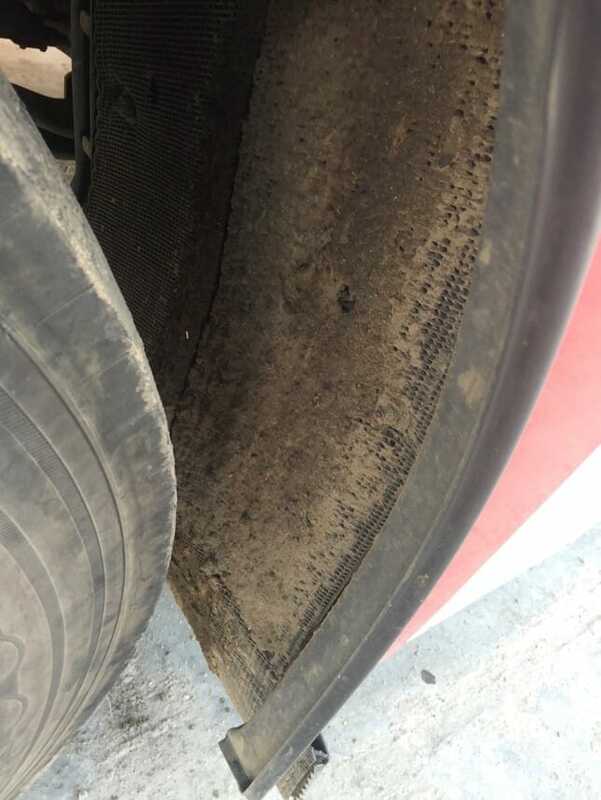 Note in cold climates, the presence of snow impacted in the wheel housing can carry pathogens many hundreds of kilometers. What equipment is used to clean the truck? Examine how clean is the equipment. 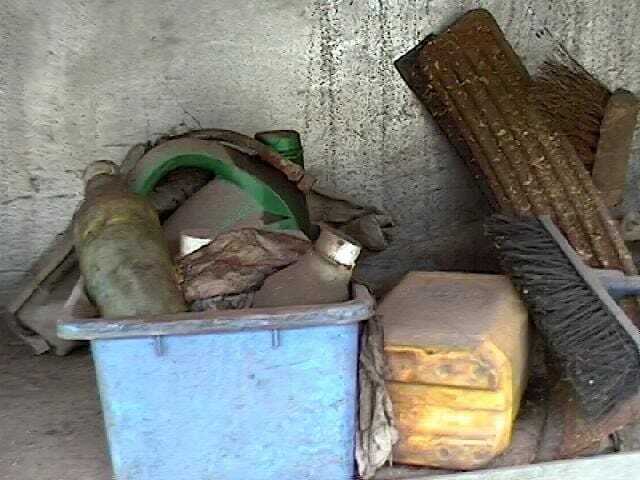 Note you cannot disinfect dirty equipment, most disinfectants are deactivated by the presence of organic materials – faeces and blood for example. 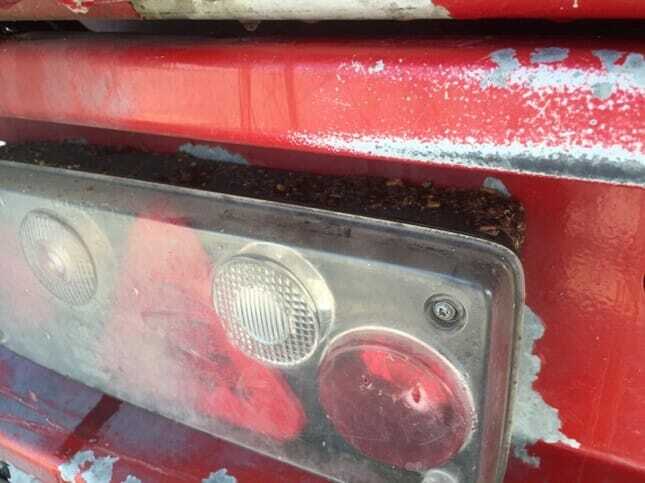 You cannot clean a truck with a dirty brush you are just moving the pathogen around. Picture 7 Prior to cleaning the truck, the cleaning equipment was not clean or disinfected from the last load of pigs moved. This is then two farm’s pathogens going to be mixed together. 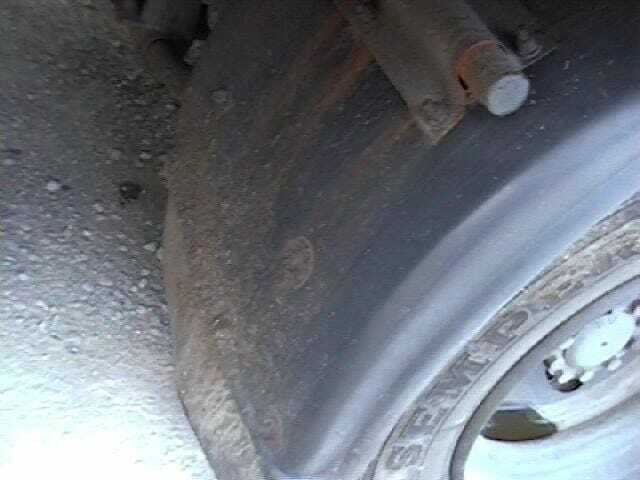 It is a classic mistake when auditing the truck that the cab is ignored. While this is a personal space, African Swine Fever does not care. Is there the presence of human food containing pork – this could be an African Swine Fever risk? Is the personal space clean and tidy. This area must be included in the audit. If the cab, clothes and boots the driver wears are dirty, the rest of the truck is never going to be clean. 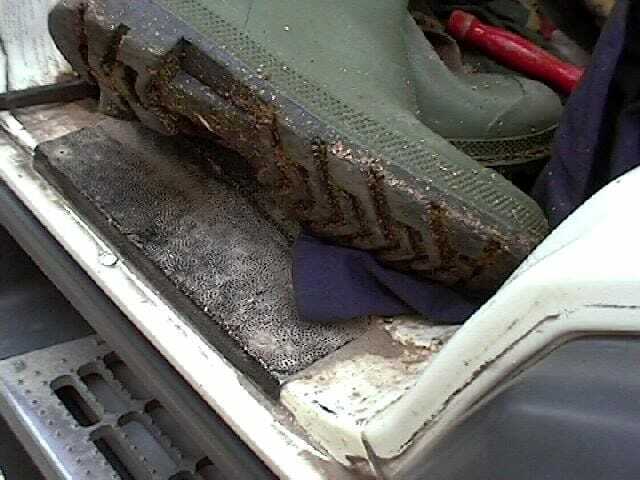 If the drivers boots are dirty, they are walking from farm to farm with these dirty boots, transferring pathogens. Ask about the driver’s own pigs. The driver ideally must not have or own pigs or work part-time on a pig farm, slaughterhouse or animal market. In the belly box of the truck the driver will keep spares. 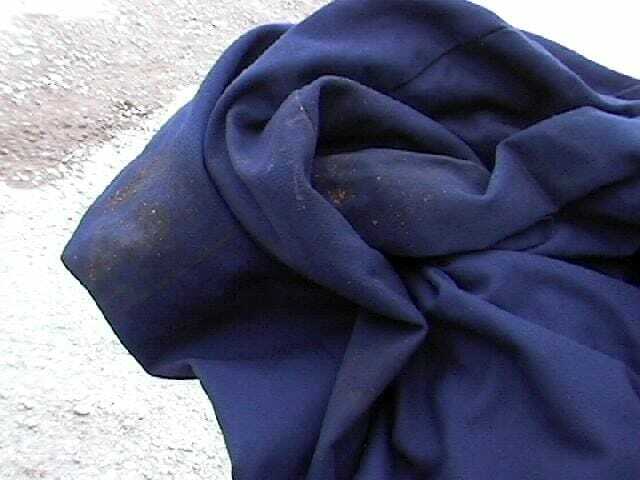 This includes cleaning materials, boots, clothing and ropes etc. But are they clean? When examined, this area is often completely missed. The cleaner protests that the animals do not have access to this area so it does not need to be clean. Get the truck clean and do a complete job. Picture 12 Belly box with old bedding and feed from a shipment a month ago! While the most obvious, I check this area last. 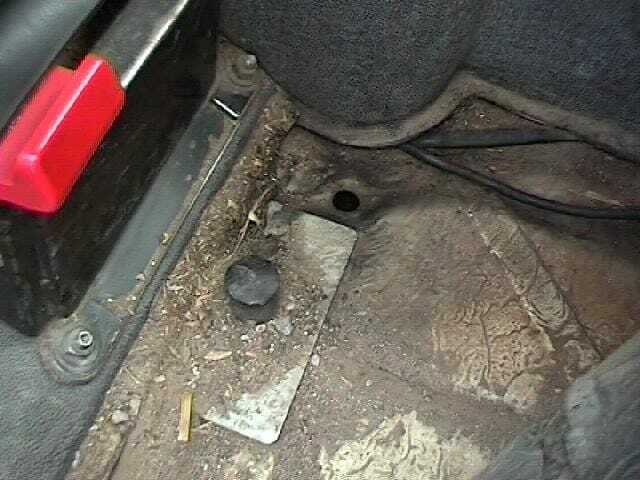 The other areas demonstate the diligence the driver/cleaner has had to the procedure. If the outside, cab and belly areas are clean and well maintained the animal accommodation is generally done well. Ideally, watch the driver/cleaner cleaning the truck. Biosecurity is also about health and safety. The cleaning process will use some dangerous chemicals and high pressure jets which can move material at high speed potentially causing injuries, to the eye for example. Picture 13 Driver/cleaning not wearing protecting clothing – this is a health and safety issue. But look hard and on all decks. Do not let height, dark or clostophobic spaces put you off looking. Think about the areas difficult to clean and to see. Use a mirror and light to check into gaps. A camera on a “selfi” stick is a great tool to demonstrate areas where faeces remain and need to be clean. Having a photograph also help the audit programme reducing arguments of level of cleaning. Note pigs have long tongues and great noses to sniff out dirt. Picture 15 Demonstrate to the driver/cleaner the faeces you easily found. This is clearly not good enough. Does the truck cleaning programme use any heat to raise the temperature of the truck? This can be especially useful in Porcine Reproductive and Respiratory Syndrome virus (PRRSv) control. Review the chemicals use to clean the truck. Ensure that they are at the correct concentration to neutralise the African Swine Fever virus. Raise the front of the truck to allow easy draining of the animal deck. The farm needs clear and guided instructions for drivers to understand easily where to park and drive their trucks, ideally around the perimeter (off-farm) area of the farm so they can approach the loading and unloading areas clean and safely. Are SOP’s in place to ensure that this operation is carried out? Are they enforced? Are they on show or just in a book in the farm office for the auditor to review? Cleaning trucks is not easy, but essential to the control and prevention of African Swine Fever virus from entering your pig unit. If you are a driver, do a great job. A lot is riding on your ability to remove traces of the last load of pigs from your truck, especially faeces. If you are an auditor. Clean a truck yourself and find out how difficult it is to get it clean and how long it takes. 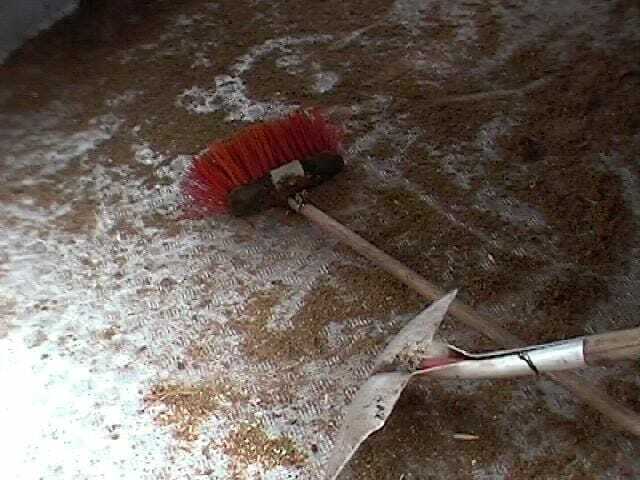 This is a great way of finding those difficult to clean areas.